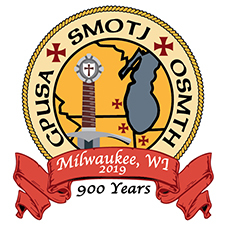 Milwaukee 2019 - News of the Order and so much more! Many members may not be aware of the targeted training, panel discussions and general meetings that are available to them at a GPUSA national meeting. This is especially true if you are a first time Grand C&I attendee. Therefore, a brief description might be helpful to get you where you need to go. Early bird events begin Wednesday evening but the first special presentation that you will want to take advantage of is on Thursday afternoon. 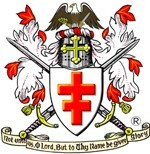 As the Knights of Christ of old fought for what they saw as Christian ideals, so today the Knights and Dames strive to maintain high ideals of morals, ethics and Christian principles in an ever increasingly secular world. Presented by United Kingdon Grand Prior Emeritus and OSMTH Envoy General Chev. Simon LeFevre. Inspectors & Treasurers - Who has been tasked to ensure the Priory conforms to the Certificate of Incorporation? Who compiles a consolidated financial report of the Priory? Who pays the bills? If you guessed that all these duties fall to the Treasurer – or to the Inspector – you can learn from this session. Join Grand Inspector Kenneth Kinelski and Grand Treasurer Joseph Auteri in order to understand the delineation between the duties of the Treasurer and the Inspector. Secretaries & Registrars - Of these roles, who maintains the database? Which role directly supports the preparation and execution of the C&I? If you are thinking about taking one of these roles, or have already accepted one, Grand Secretary Ian Good and Grand Registrar David Schorn can shed some light on this topic. Aumoniers - Did you know the Aumonier has a separate fund that they control? Do you know the Aumonier is in charge of fundraising and Chairs the Committee on Charitable Activities? You could do so much good as an active member of your Priory…. Grand Aumonier Kenneth Fraley will be discussing the duties and opportunities of this much needed role. Master of Postulants - Is this like a Pledge Master…. Are postulants considered pledges? Can I be in college again?? No, but postulants may be confused and have a lot to learn much like pledges. That is why priories have someone in this role – to educate candidates of the order and to set them on the right path through a meaningful and successful postulant process. Grand Masters of Postulants Cathy Pharr and Rich Inman will confirm postulants are NOT pledges, and will discuss the critically important responsibilities of this pertinent role. Historians – Do you have a large library or collection of movies, VHS included? Do you keep up on current events but also understand the historical significance? How often have you seen National Treasure with Johnny Cage? If you caught that his name is Nicolas Cage, maybe you want to join Grand Historian David Fautua for this new training session to discuss how to best preserve our Templar history. Pilgrimage/Pilgrim Medal Program – Have you contemplated a pilgrimage to the holy land? Have you wanted to visit Templar sites? Did you know the order has 3 distinct medals established for members whom have taken a pilgrimage? This program, these questions and more can and will be answered by Grand Pilgrim’s Medal Program Administrator Emeritus Jan Berzowski. Scholarship/Legacy Giving – Have you helped to make someone’s life better? Maybe even saved a young life? Do you believe in helping Christians at risk both at home and abroad? If so, please join Past Grand Prior Larson to learn about the Raymond Davis Foundation and to learn about how Templars have helped Christians and the many opportunities that are available for you to help. Webmasters & Newsletter Editors –Who develops, maintains, and provides security for your priory’s website? Is it tied somehow to the Grand Priory’s website? Does your priory have a newsletter? If so, who creates and edits the articles? If you don’t know, or if you want to start a priory newsletter, then you need to attend this training as your priory’s website and newsletter are the face of your membership. Please join Grand Webmaster Kathy Watson to discover the ins and outs of your best recruiting tool in hand. Operation Knight Flight – This is a new and exciting addition to the breakout lineup. Join Chev. Dwane Boucher as he explains what Operation Knight Flight is, what it has already done and the plans for this project’s future. Recruiters - How often are you asked, “What do Templars do?” or “Is that like a Mason?” Do you know what to say or how to provide more information about what we do? What have you done about replacing yourself? YES, replacing yourself for the growth of the priory and the growth of the Order. Grand Treasurer Joseph Auteri and Grand Secretary Ian Good plan to discuss the who/what/where/why/when/how many and more, to help promote continual growth of the Order. How much do you know about what is really going on in the Middle East? Have you heard events on the news and wondered if we have a part to play in the outcome? Come and learn what is the Order’s role in this volatile area of the world. Be sure to attend the discussion facilitated by Grand Historian Fautua and a panel of Middle East experts. You’ve probably attended your Priory’s annual business meeting and heard reports from the various officers about the previous year’s activities and plans for the year to come. Well, the Grand Council session is a priory business meeting on steroids, because it is the business meeting of the entirety of the Grand Priory of the United States (GPUSA). There is much going on at the national level that we may not hear about in our priories, so take this opportunity to learn about what is really going on in GP-USA. Did you know that the Sovereign Military Order of the Temple of Jerusalem also operates on an International level? Do you know what OSMTH stands for? 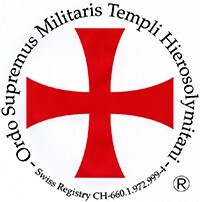 OSMTH is the largest Knight Templar Order in the world and the only Templar Order recognized in Special Consultative Status by the United Nations. And YOU are a member! Attend these meeting to expand your knowledge of our Order’s activity worldwide. You won’t be disappointed!